The intrinsically safe Fluke 707Ex is certified for use is zone 1 (gas) hazardous areas and is the perfect tool for quick and accurate loop checks in potentially explosive environments. 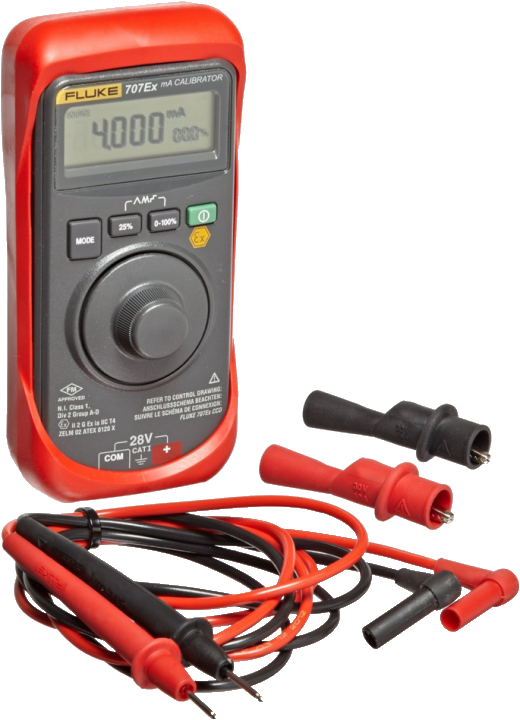 The 707Ex can source from 0.000 to 20.000 mA, read from 0.000 to 24.000 mA or 28.000V DC, as well as simulate or simultaneously power and measure 2-wire transmitters to 24V DC. 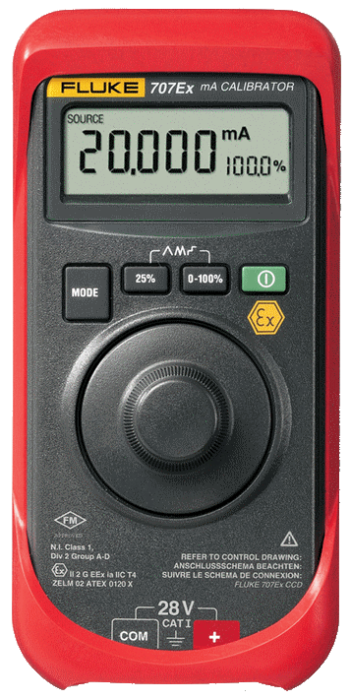 The 707Ex enables faster calibrations with a simultaneous mA and % readout, a 0 to 100% span check, an innovative output adjustment dial with selectable resolution, and automatic output stepping and ramping. A built-in 250&8486; resistor also powers HART® transmitters and simplifies hook-ups with HART® communicators. 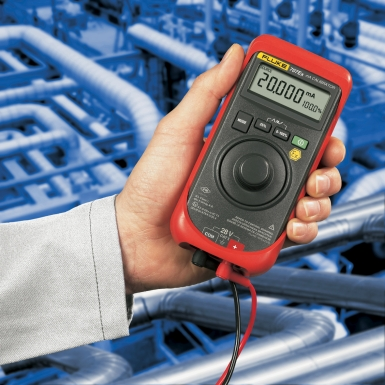 Compact, lightweight and easy to use, the rugged and reliable 707Ex is backed by Fluke's 3 year warranty. Out of Stock. Allow 3 - 4 weeks for delivery.